I came across this amazingly unique moccasin-styled boot today. 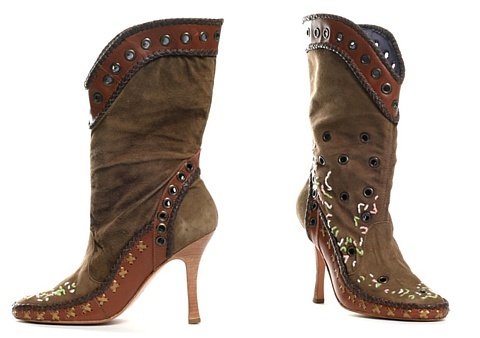 I simply love the moccasin inspired suede with the cowgirl type design that pulls off this one of a kind boot from Cindy Says. Right now you can get $10 off this adorable stiletto heel boot and FREE 2nd day shipping!